Ready? No, really, are you ready? Brace yourself. It’s this: be Bon Jovi. That’s it. Hey, I didn’t say it was easy, or even possible. But it’s still true: Jon Bon & The Crinkly Bunch are one of the very few bands in the world who can still make enough money to live The Rock Life. Everyone else has to make do with juggling rock dreams with part-time office jobs. Sorry. That said, the current absence of a true money-making stream has led to the implementation of some brilliant ideas. Old ANBAD favourites Art Brut are trying a quite different approach to cash-generation via Pledge Music, where, yes, you can buy the new Art Brut album, but also – and more excitingly – you can buy your own Art Brut gig, an Art Brut football kit, a Karaoke session with Eddie Argos, and more. This approach – making all of the fans’ interaction with the band chargeable, like merchandise – is almost certainly the way forward. It’s an approach which new bands like Kid City have been utilising for a while – note the rise of both the Merch Stall, and the imploring from the stage to stop by it on your way out – and it’s a smart move. Kid City‘s Bloody Face is one of those songs that often gets described as ‘icy’ and ‘crystalline’, often by writers pushed for time (like this one) – but these clichés exist for good reason. Songs along these lines often sound drab, or boring, or like pale imitations of – shudder – Zero 7. 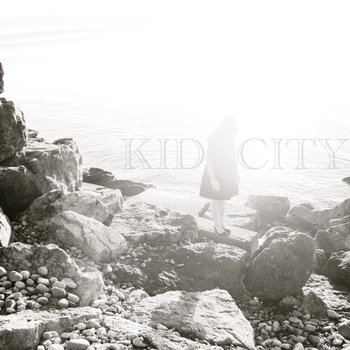 Kid City have taken care to avoid these pitfalls with a combination of Kraftwerkian beat-dollops, leftfield-synth noises and jabbering lyrics that aren’t too serious. It works well, and if they play their cards right – or simply charge for them – fortune can be theirs, too. Good stuff. Posted on March 10, 2011 by Joe Sparrow. This entry was posted in Headline, Today's New Band and tagged art brut. Bookmark the permalink.